Today, this blog turns 1. And because life is a constant rollercoaster of emotions and we must always balance out the highs with the lows, tomorrow, I turn 25. In the slippery morass of years after becoming legal to drink, 25 is a solid, round number to stand on. But while round numbers are comforting, they are also deadlines. By 25 — your MID-TWENTIES — it feels like you should know what you want to do for the rest of your life, or at least where you’d like to be and who you’d like to spend it with. On a good day, I’ve got one in three. To be clear, I’m doing all right. I have a job, I have friends and family nearby and around the world, and I recently filed my taxes for the first time on my own. I even adopted a cat, which, despite what some of you think, is not a cry for help. I’ve also successfully run this very blog with my sisters for one whole year without bloodshed. 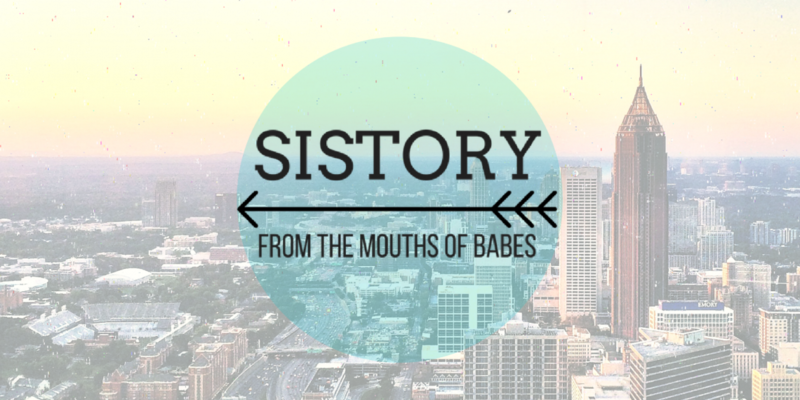 Sistory has helped me reconnect with the past, which in moments of uncertainty can be a great source of reassurance or, at least schadenfreude. Because if I’m feeling a little shaky about the future, imagine how Queen Elizabeth I of England must have felt. 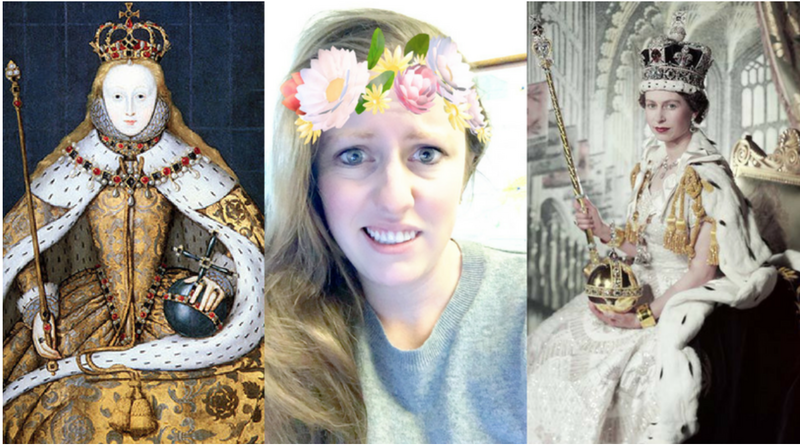 Back to that rollercoaster of emotion we call life: Elizabeth was born a princess and then, after her mother was beheaded, was declared illegitimate. Her father swung madly from lavishing love on her to ignoring her for years at a time. When he died, Elizabeth’s half-brother, Edward, assumed the throne. When he died, her half-sister, Mary took over. And Elizabeth was more or less chopped liver. These half-sisters were not about to start a history blog together. Catholic Mary imprisoned Elizabeth for a year in the Tower of London during her reign to prevent her from whipping up any Protestant support to claim the throne. Just a few years later, a 25-year-old Elizabeth found herself back in the Tower, not far from where her mother had been imprisoned. But this time, the unwanted daughter-of-an-executed-witch wasn’t there as a prisoner. She was there as a queen, on her way to her coronation. Who knows what was going through her mind on that January day in 1559? She was probably nervous about all this responsibility suddenly forced on her, and worried about letting down those who believed in her. Maybe she felt like she was too young to be successful on her own, but too old to let others govern for her. We know she had at least a bit of imposter syndrome, because that’s the kind of thing that leads you to execute your cousin, Mary, Queen of Scots, anticipating a Catholic threat to your throne. Whatever anxiety she was feeling that day as a 25-year-old, she got over it pretty quick. History remembers Queen Elizabeth I as one of England’s most successful and beloved rulers. She ushered in the Elizabethan Era, a period of unparalleled prosperity for the empire, which gave us William Shakespeare and Christopher Marlowe. She stopped the persecution of religious minorities and led one of England’s most impressive military victories with her defeat of the Spanish Armada. And she did it all without seeming to give one single damn about what anyone else thought about her. The “Virgin Queen” never married despite being literally the most eligible bachelorette in the entire world, saying once, “I would rather be a beggar and single than a queen and married.” (Savage). Everyone was telling her she had to settle down and she was like… She also lent her name to another source of #queenspiration: Queen Elizabeth II, who was also coronated at age 25. Like her namesake, QEII never thought she’d be queen, until her uncle abdicated the throne to marry Wallis Simpson. That scooted her into the line of succession, and when her father died, she was the first British monarch to be coronated on live television. At age 25, she took control of a crumbling Commonwealth with countries seeking independence left and right. The country was still recovering from World War II and people were questioning the need for a monarchy at all, to which I’m sure she was like OH OF COURSE NOW THAT IT’S MY TURN. So she was dealing with the death of her father, two young children, a restless husband and, you know, an Empire on the verge of self-destruction. I bet some days she got that tight feeling you get in the back of your neck that you think would probably go away if you could just lay under your desk quietly for the next 6 to 8 years. She probably wished she could be a little directionless for a little while. But instead, 64 years later, she is England’s longest-ruling monarch, a beloved national figure and global presence. Imagine if either of these women had given into the fear, the uncertainty, the paralyzing anxiety that comes with change and growth and responsibility. Imagine if either of them got too hung up on expectations, or worrying about what other people thought about them, or wondering how many corgis are too many. Where would England be today? We wouldn’t have Prince Harry or Protestants, and those would both be a great loss. I’m still not sold on turning 25. It seems like a big step out of the post-college years and into the pre-30 years. But if the Queens Elizabeth could put on their cape and crown, take up the scepter and mantle of power, and rule without looking back, maybe, just maybe, so can I.